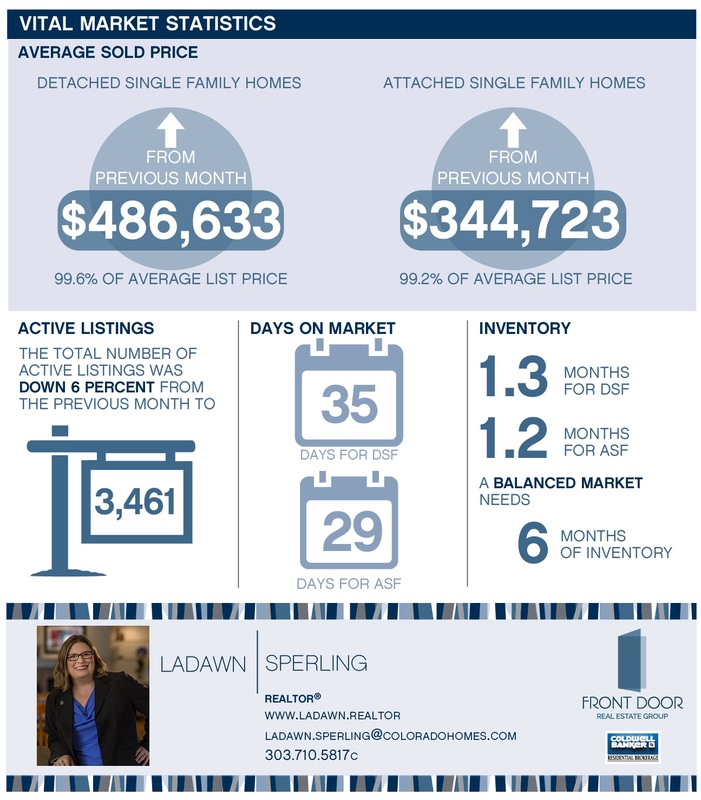 • Average prices were up 1.9 percent from the previous month and 9.2 percent year over year for detached singe family (DSF) homes, while prices for ASF were up 1.3 percent from the previous month and 19.5 percent year over year. • Days on market (DOM) remained low; compared to the previous month, DOM for DSF held steady and decreased by two days for ASF. Based on trends from the past four years, predictions for 2018 include a compression phase – where demand exceeds supply – that will last through the first half of the year, and the average price for DSF homes will increase to around $545,000 by June. One factor that could cool off our market is weakening affordability as home prices go up and higher interest rates reduce the purchasing power of buyers. The May/June timeframe – when prices are expected to peak – could be when we reach this tipping point. Based on information from REColorado®, Inc. provided by Land Title for the period of Jan. 1, 2018, through Jan. 31, 2018, for Adams, Arapahoe, Broomfield, Denver, Douglas, Elbert and Jefferson Counties. Note: This representation is based in whole or in part on content supplied by REColorado®, Inc. REColorado®, Inc. does not guarantee nor is in any way responsible for its accuracy. Content maintained by REColorado®, Inc. may not reflect all real estate activity in the market.